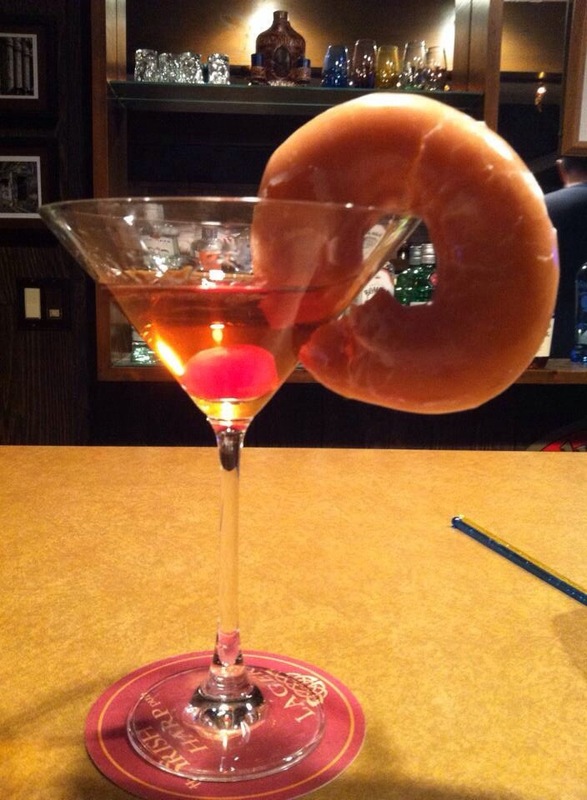 The Best Cocktail Garnish Ever!? That’s a donut. In a Manhattan. It’s a Krispy Kreme. The “Hot Now” light was on. What would you have done? 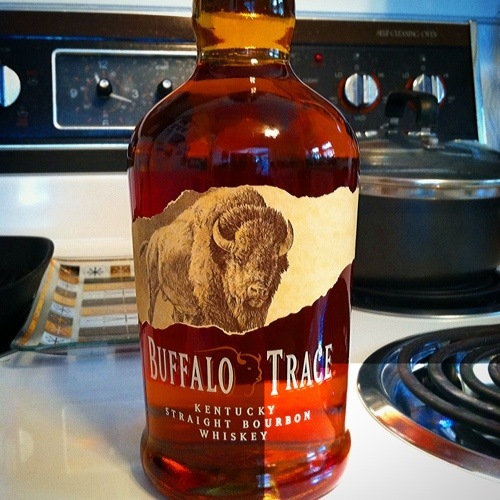 I bought my first bottle of Buffalo Trace yesterday for drinking this weekend. Liquor and beer go together quite well, especially in the right combinations. 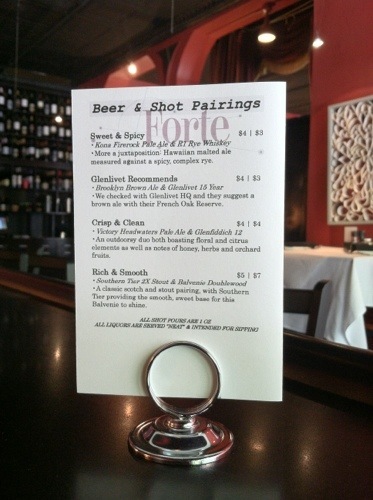 That was the thought behind this pairing list which I put together recently for the bar where I work in Jamestown, N.Y. This is just the one side of it. There’s another four pairings on the back. Here you’ll see three scotches and a rye whiskey, but on the other side are a couple of nice bourbons paired with some of the quality microbrew that we stock. I did a lot of reading (wherever I could find info) about classic pairings and what other bars throughout the country are doing, then just tried to take that info and apply it to what we stock at my bar. I think it came out alright. Or at least, I’m enjoying the fruits of my labor! As I mentioned in yesterday’s post, I was in Buffalo over the weekend. I’d hoped to make it to Vera Pizzeria for a cocktail, but Saturday evening revolved around swimming at The Millennium and dinner at The Melting Pot. 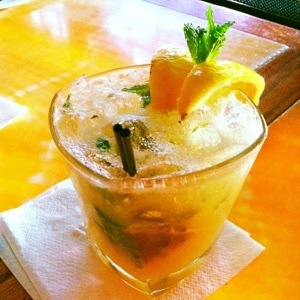 Still, I did have a delicious Whiskey Smash at Bar Louie. I’d been looking forward to trying Vera’s “Solitary Man,” but since Bar Louie was right across from where my wife and I were having dinner… It sufficed in Vera’s place. Earlier in the day, after we realized that Vera didn’t open until 5 o’clock, we hoofed it on over to Thirsty Buffalo for a beer and pretzels. I had a Bell’s Two-Hearted Ale, which was so, so good. It’s become my new favorite. I haven’t made a cocktail with them yet, but the bitters were delicious in a glass of lemonade. 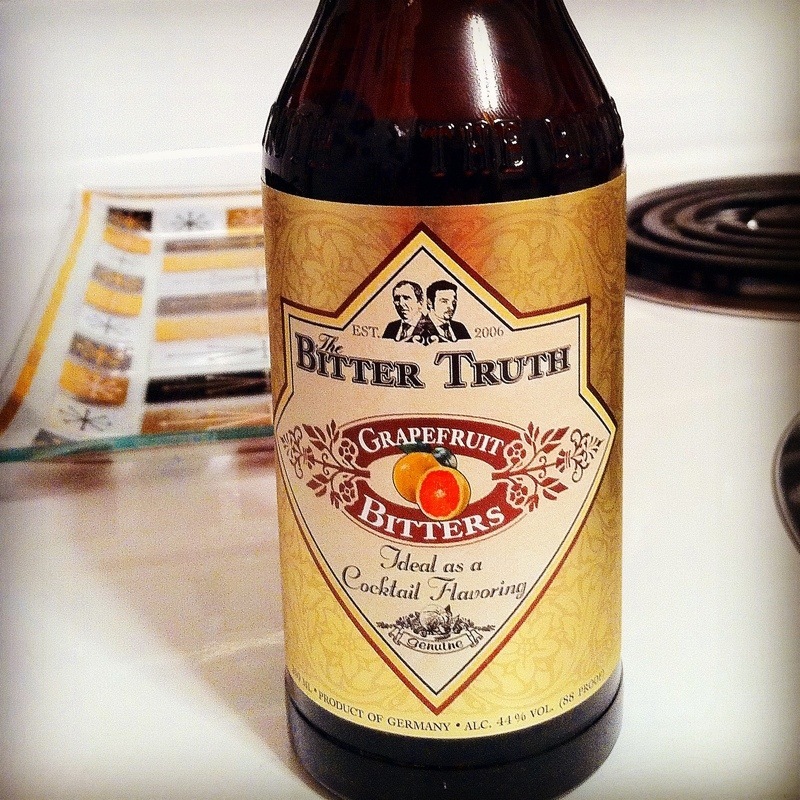 Check them out at The Bitter Truth’s website. I like old bitters bottles. I’ve got the start of a little collection going, which is just this fernet-style bottle and an Underberg as well as some of the more mainstream and traditional brands. 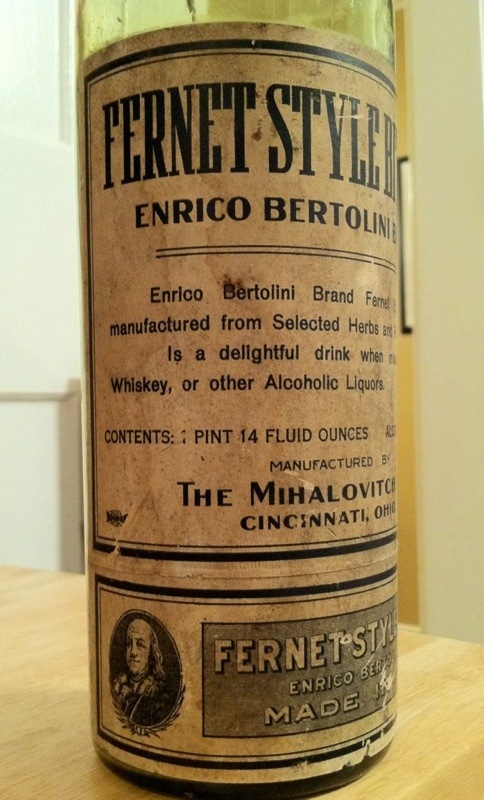 I’m going to an auction at a bar today and then up to Buffalo, so if I see anything neat (bitters or otherwise) at either the auction or some stores, I’ll post here if its cocktails related. Hopefully I’ll hit up a worthwhile antique shop. We’ve been making mojitos for a month or so now at the bar where I work (it’s a seasonal treat here in Western New York). 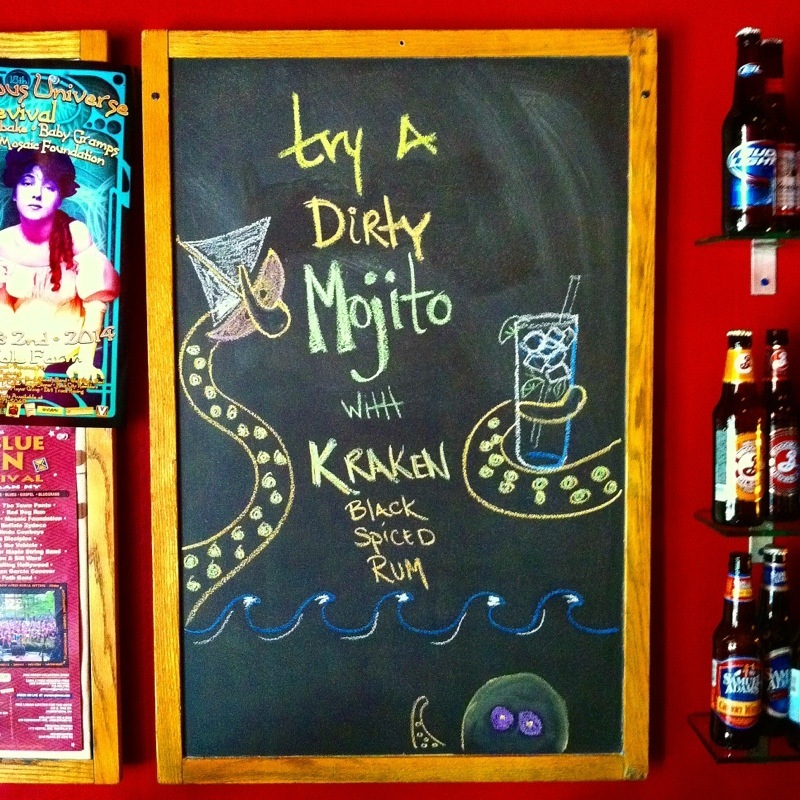 To make a “Dirty Mojito” we just swap out spiced or black rum for the regular rum which goes into a mojito. Most times I make them with one pour Kraken and one pour Myers.